The idea behind Paw Fund is simple. We help people help their pets. We know your animal companion means a lot to you. And we know that sometimes, it’s hard to afford the basic costs of caring for a pet. That’s where Paw Fund can help. 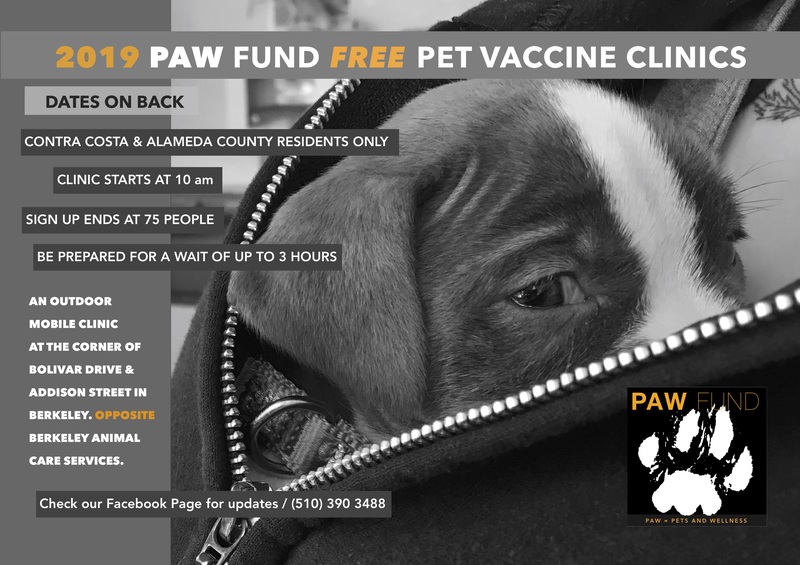 Paw Fund runs free pet vaccine clinics every month. We also offer free and low-cost pet health services like spaying and neutering. And we can sometimes provide pet supplies and information (in both English and Spanish) to help you care for your dog or cat. 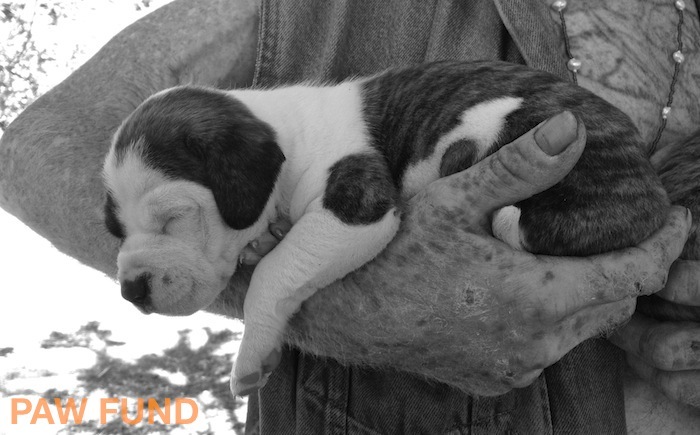 Follow us on Facebook to stay updated on Paw Fund events. Our clinic is open to anyone who lives in either Contra Costa or Alameda counties. It doesn’t matter if you’re homeless or undocumented. Everyone is welcome — just bring yourself and your pet/s. Please bring dogs on leash, or carry them if they’re small enough. Bring cats inside a carrier. If your pet is sick and you need advice, message us on Facebook. Unfortunately, we can’t allow sick pets at the clinic because it puts other pets at risk. Our free pet vaccine clinics are always on Sundays, every four weeks. The clinic starts at 10 AM but you should arrive earlier to sign in. Sign up ends when we reach 75 people. 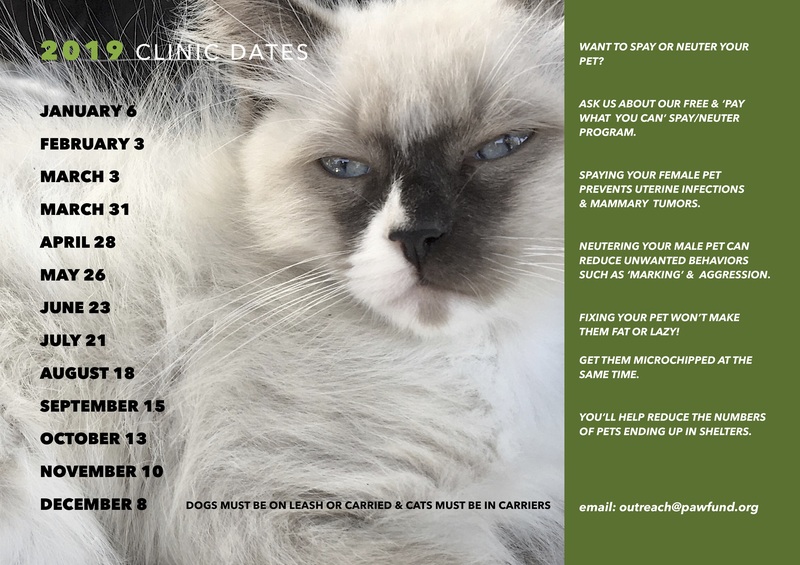 Our clinic is outdoors in the parking lot on the corner of Addison Street and Bolivar Drive in Berkeley, just across from Berkeley Animal Care Services.